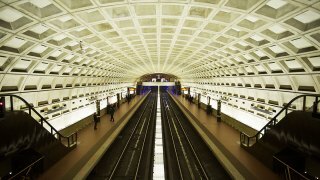 If you're planning on taking the Metro this weekend, you might want to be prepared to wait. Weekend work will cause longer waits on all six lines beginning at 10 p.m. Friday and continuing through Sunday night. On the Red Line, trains will run every 22 minutes, with single-tracking in two areas: between Medical Center and Grosvenor, and between Rhode Island Avenue and Fort Totten. On the Yellow Line, trains will run every 20 minutes between Huntington and Mount Vernon Square only. Trains will single-track between Braddock Road and Huntington. Riders traveling to or from stations north of Mount Vernon Square should use the Green Line. Green Line trains will run at regular weekend intervals Friday and Sunday. On Saturday, trains will run at regular weekend intervals between Greenbelt and Naylor Road, with only every other train traveling to Branch Avenue.